On finding out that Night Ranger had been added to the Skid Row tour billing as Special Guests only for the London show, it became an easy decision that I would be making the extensive journey from Manchester. The gig itself was billed as a co-headliner although Night Ranger would only be playing the single show while already in the UK for their headlining gig at the Hard Rock Hell Festival. An unusual musical pairing with their more melodic rock being a total contrast to the rawer rock portrayed by Skid Row. As the billing was also containing Toseland and Bad Touch, it represented an excellent value for money package with the inevitable early doors opening time. Starting the evening’s entertainment were Norfolk rockers Bad Touch, a band that I have been familiar with for quite some time but had never yet seen live. An impressive showing of audience numbers in both London and Manchester for their all too short thirty-minute set. Musical influences were several, but I prefer instead to focus on what those combined forces create. Total entertainment as the crowds at both London and Manchester venues took an instant like to the raw and earthy sound served up to them. While the band’s songs were not instantly recognizable to the majority they certainly left a lasting impression with universal smiles and widespread loud applause on both nights that I saw them. Toseland was next up and while the image of former model and motorcycle racer James may have changed the songs and set appeared to have changed little since I last saw them live. Familiarity they say breeds contempt, but I don’t know what was lacking on both nights but unfortunately, they left me nonplussed and unimpressed. Opening with “Puppet on a String” was a rousing rallying call which unfortunately failed to engage the almost capacity audience into active participation. 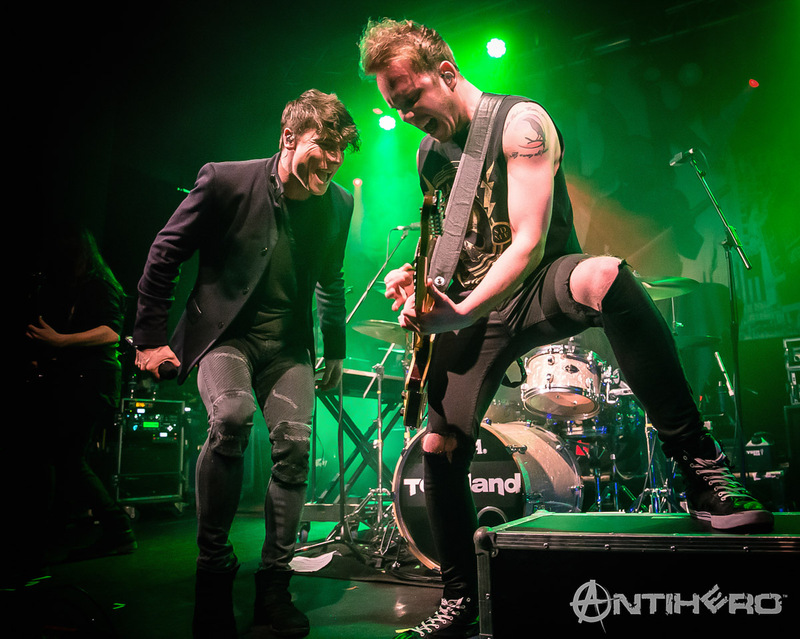 On record/cd, the band’s sound comes across as fresh and catchy but live Toseland seemed to have lost some of that energy and spark that was first present when they started out. They seem to be eternally on the road so perhaps exhaustion has set in. In London I attributed this to a rare night off form, unfortunately, their set was of a similar standing in Manchester. Deprived of energy and left me with the view that I was just seeing a band going through the motions. Some sound issues were apparent in London so perhaps I could put it down to “technical issues”, however, no such problems existed at the Manchester show and the performance still left me far from unimpressed. 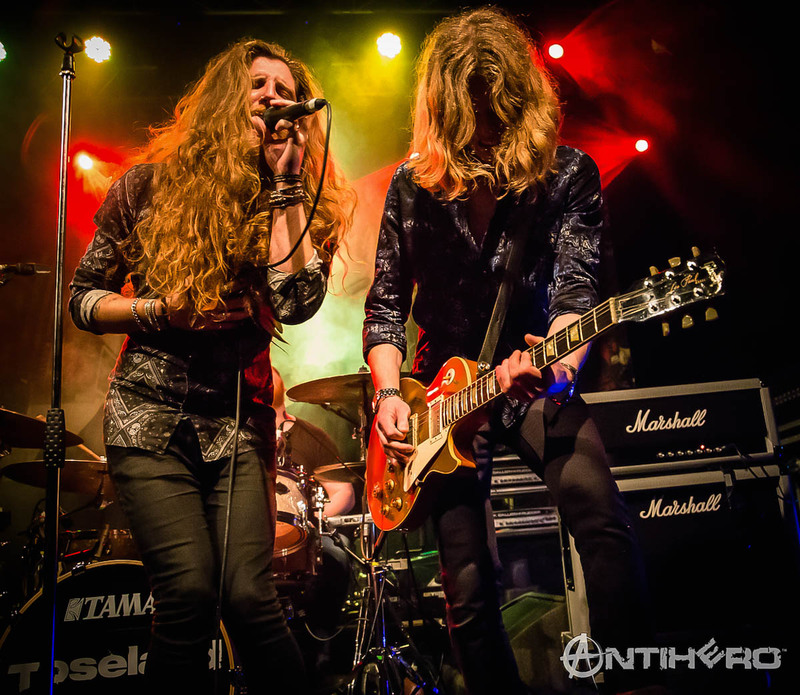 It’s hard to know outside of the female part of the audience where Toseland‘s appeal as a band lie-they seem just a little too pop-orientated and light-weight to harness the interest of most of the rock crowd at either venue. On to the Special Guests for the London show and the reason for my five-hour coach journey from Manchester. I had only previously seen the legendary Night Ranger on one previous occasion coincidentally at the same Hard Rock Hell Festival which they were returning to this year. Opening with a new song from the band’s latest album before then playing “Touch of Madness” it was apparent that some sound issues were present with the vocals of Jack Blades being largely lost in the mix. Thankfully by the time that the band served up “Touch of Madness”, things audio-wise were strongly back on track. One thing about the band is that all the individual elements are high-quality vocalists so by the time that Kelly Keagy took the center spot for the song “Take Me Away” I saw a few surprised faces in the audience-people who clearly were experiencing their first Night Ranger show. The London venue of the Shepherds Bush Empire is quite a legendary spot in the UK. Jack Blades referenced this both in his onstage chat and afterward when I interviewed him. Returning to another band from his musical history, a couple of Damn Yankees songs were played. Instantly recognizable, these created a huge fan-assisted chorus; Songs from over 30 years previously which had clearly lasted the test of time. The band then served up a song that had apparently never previously been played in the UK. The song named after the band Night Ranger was quite a surprise addition to the set. This illustrated that while the bands live forays into the UK are infrequent they still care sufficiently about their UK fans to do something quite different and a little bit special when they do play live over here. Night Ranger is generally known for their ballads such as Sentimental Street but at frequent intervals during their set, they illustrated that they can certainly rock out and play heavy with the best of them. Sister Christian was another popular set inclusion leaning on the ballad and melodic element of the band-the harder-edged “You can still Rock in America” showcased their more powerful side. I love Night Ranger and while they don’t play in the UK often enough for my own personal liking when they do they always deliver quality and a fantastic night of fun and entertainment. Quick turnover and it was time for the Skid Row soap opera to return. The band who made it big in the eighties and like many others of that era never returned to the same dizzy heights of success. Each time I see the band these days on different tours they always seem to be fronted by a different vocalist. The setlist tended to recognize that with all the material played being from the band’s first 2 albums. While the band has continued to release music over the years including a few recent Eps I was surprised that the named United Rebellion tour didn’t feature any music from those releases. I guess it’s a case of giving the fans what they want but unfortunately, it only seems to label them as retro in the eyes of many and a band that is content to live in the past ZP Theart, formerly of power metal band Dragonforce, unfortunately, seemed to be beset with vocal problems. He sang solidly for most of the set but failed to touch the high notes in many of the classic song anthems leaving it largely to the audience to fill in the gaps. The reaction of the audience did seem to be largely positive although I did notice a few exiting after just a few numbers of their set. Whether this was due to them leaving for public transport reasons Skid Row only hitting the stage at 10 pm or dissatisfaction with what they heard I can only speculate. My own opinion was that something was lacking in the vocal delivery and band performance. While the other band members delivered a quality show, a bands set can come down to a vocalist’s performance. 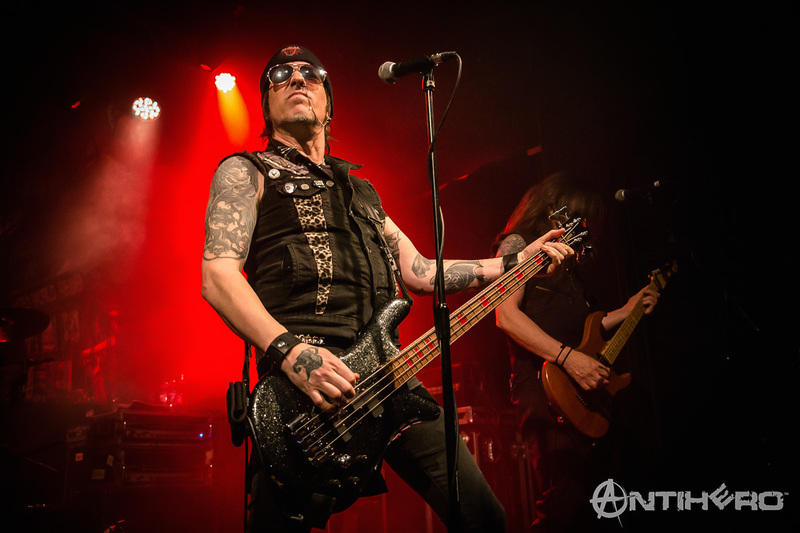 Several days later in Manchester and again I felt that something was missing from the Skid Row show, while ZP Is more than a competent singer I just don’t feel that he’s suited to Skid Row. He seems uncomfortable and going through the motions. I later heard that he had not been well, and the band later had to reschedule some dates on the tour. They may no longer be the youth gone wild but the band who people will always insist “I remember you”. They deliver an evening of nostalgia, but I do feel that they need to evolve with the times.